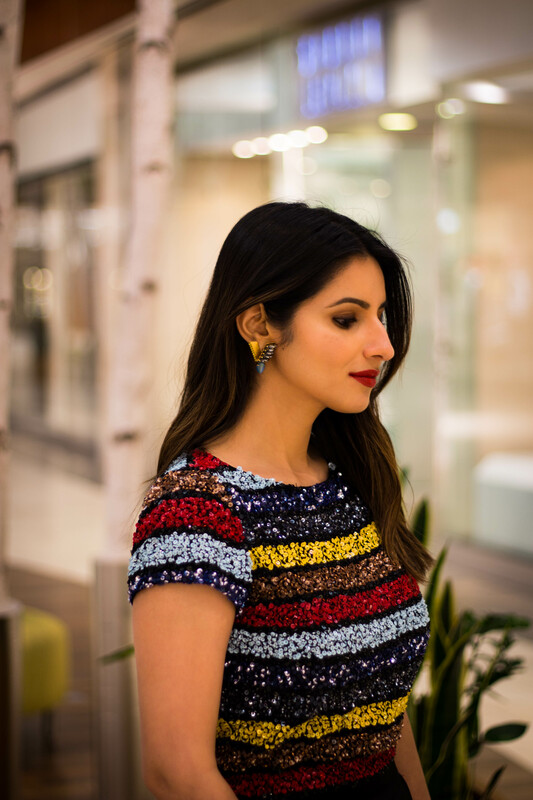 Sequins are perfect when you’re ready to party but can totally be used to add some glam to your everyday look. I paired this sequin striped top with black wide leg pants to keep the look balanced and chic. Also added a red lip for a classic vibe. So get ready to dazzle but use them moderately as a little goes a long way! P.S. The top and pants are on sale right now.